They take on play-off chasers Basford United at Mariners Park on Saturday on the back of six consecutive victories. Joint managers Picton and Graham Fenton have been delighted with the efforts of their team over recent weeks, and are hoping they will pick up from where they left off in Tuesday’s 2-0 win at Workington. Picton said: “Both myself and Graham are massively proud of the way the squad has been performing over the last few weeks. “I know it’s easier said than done, but if we can continue to perform at those levels then we’re really confident we can end the season with something meaningful to show for it. “Tuesday night’s test at Workington was everything we knew it would be. Shields won 3-0 in the reverse fixture in January, but Basford have since had a change in management and now sit just five points off the play-off places. They are among the league’s top scorers – only Shields have scored more than their 73 – and Picton is well aware of the threat they pose. He added: “Basford seem to have been somewhat rejuvenated over the last few weeks since their mid-season change in management. “We know they can be a dangerous attacking force, hence the number of goals they have scored this season, and we certainly won’t be taking them lightly in any way. 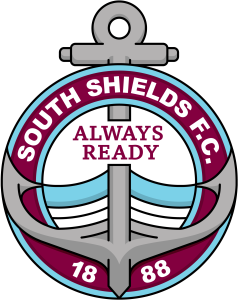 Shields are expected to remain without Carl Finnigan and Barrie Smith, although both players have resumed training after their long-term injuries. Gary Brown is also expected to return to contention soon. Kick-off in Saturday’s game is at 3pm and admission prices – which can be paid at the turnstiles – are £10 for adults, £8 for students and over-65s, and £3 for under-16s. Discounted tickets are available until midnight on Friday. Secure them by clicking here.